Flavorful and funky — Nori is a feast in itself. Dried to perfection, the lush history of this popular Japanese food remains evergreen. And throughout the years, it has found its way to the Filipino taste. A whiplash of unconventional grab-a-mouthful rice rolls, here’s Sushi Nori! 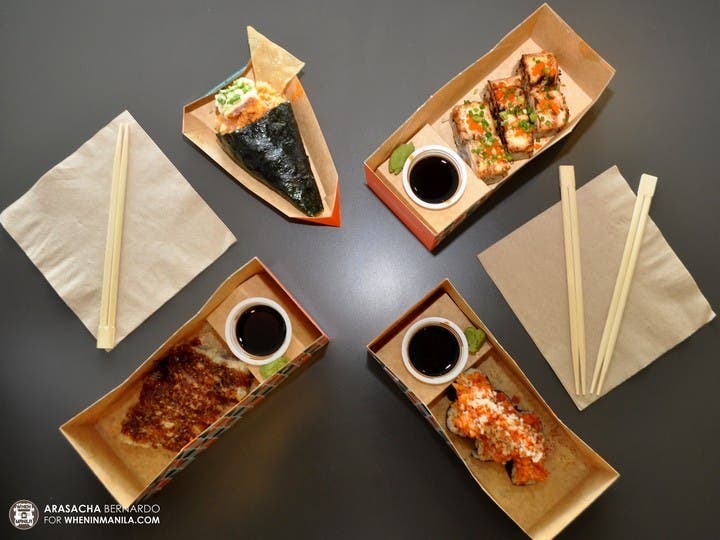 Milka and Shiela Romero, the owners of Sushi Nori and Roku Sushi + Ramen, created a new wave of nori that flaunts food and entertainment as you go. Decluttered from bamboo furniture, papel de hapon sliding doors, and all those fragile paraphernalia, Sushi Nori provides a down-to-earth eat and run vibe. See-through glasses unveil kabuki-like theatre knife action. Enveloped with more spectacles, wide glass windows reward mesmerizing BGC Cityscape views. 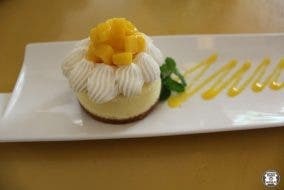 You’ll never wade through a maze of ornaments or dark crevices of your appetite ever again. Their menu guide shows the morphology and anatomy of their rolls. How hungry are you to eat a Godzilla? Can you sushi a Ninja? 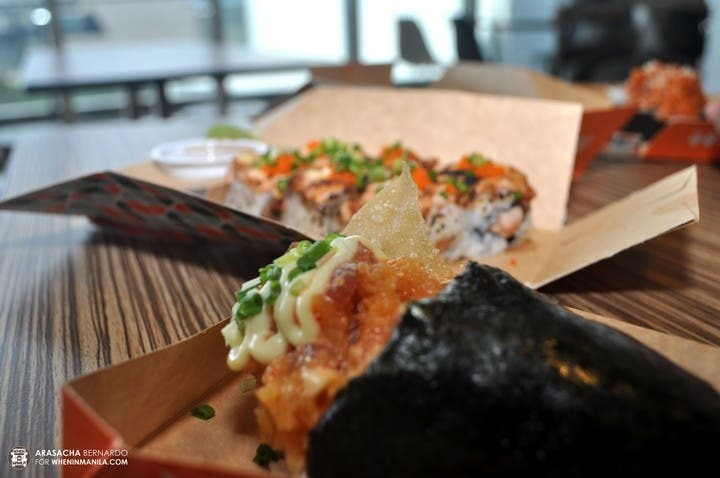 Add more of that Crazy Kani to your food-o-pedia as Sushi Nori serves a one of a kind menu! Behold: The Sushi Nori Menu. A quick rice roll guide to your inner foodie. Offering a wide selection of sushi, you may choose between a maki or a temaki. 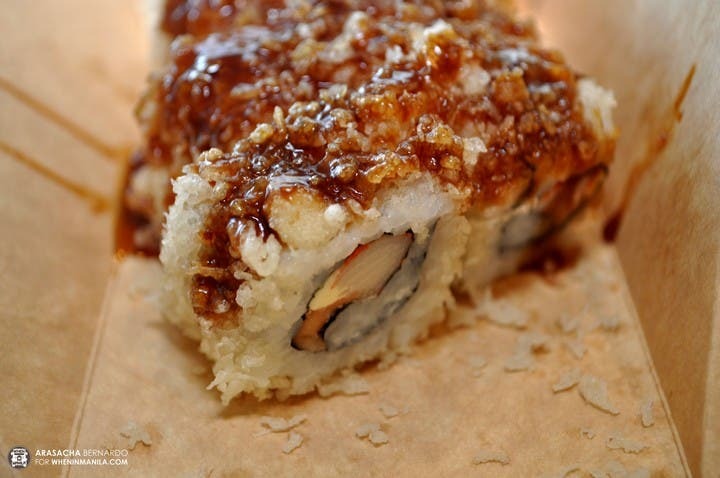 A maki or makizushi is a rice roll varying in thickness. On the other hand, maki’s offspring, the temaki, literally means a hand roll. This variant comes in a giant nori cone. Regardless of the form, you won’t get that artistry ruined in your travel. Thick but featherlight cardboard geometric package boxes and pizza-slice food containers seal your nori-to-go. 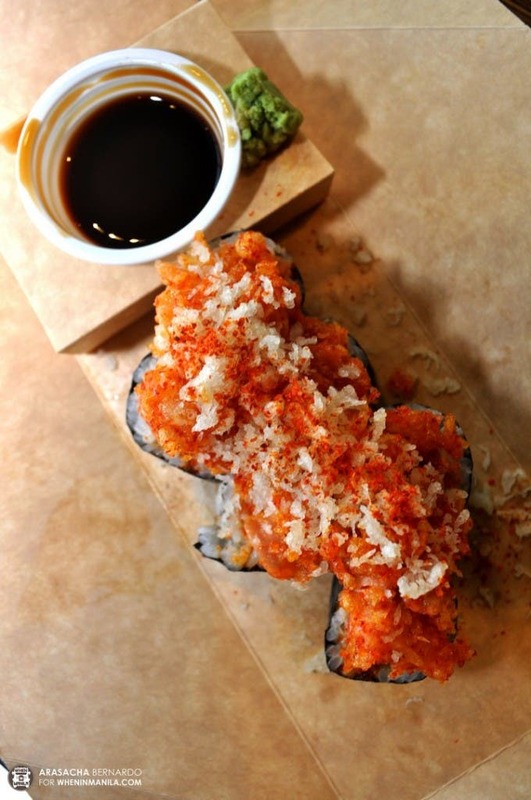 Check out this Sushi Nori best sellers: OMG, Sushi Dreams, Firecracker, and Ay Caramba. For the uninitiated, break sushi mysteries with OMG. Embrace crunchy cool cucumbers and blowtorched smoky salmon in aburi sauce. Savor the meat, too. Topped with more of that fishy virtue, spring onions and jazzy roe, it’s a certified awestruck jawbreaker! More salmon comes your way with Sushi Dreams! Experience its raw glory — a little slimy but tastier than its cooked counterpart. Savor the crunch and just the right amount of mush with this number. Go from snowy tempura flakes, vinegary rice layer, to heavenly cream cheese that all blend so smoothly. The Sleeping Giant. Sushi Nori Sushi Dreams. Awaken your senses with Firecracker! It’s fiery red tempura flakes and fish roe crown. It lashes out its explosive force sans the wasabi goons. It looks harmlessly attractive but dangerously fun. Red Alert. Sushi Nori Firecracker. Ay Caramba, on the other hand, is the ultimate cornucopia for something nori-ffic and fishy. True to its Spanish roots, this interjection-filled sushi denotes surprise or pain in every bite. Kewpie mayo welcomes you with a sweet sour roe hello. A hint of spice whips your tongue as you gobble through its tuna mushy rice and sea-salty cone. Consume the fried wanton triangle garnish immediately. Mayo yo-yo. Up with something sweet that goes down with a light spice? Fully loaded 4-5 inch Sushi Nori Ay Caramba Temaki. The soy sauce may be quite the typical taste, but the wasabi takes it up a notch. Spice wise, it’s not the terribly blended green monster, but it’s really steamy! Make your days merry with brisk and bubbly peeps, too. A Sushi Nori staff shared that their temaki provokes much curiousity on how this goodie is consumed. Just hold it like your ice cream cone then munch on. Too poised? Use chopsticks. Ever heard of that Spencerian sonnet about a man who rewrote his love’s name on that fine grain strand? 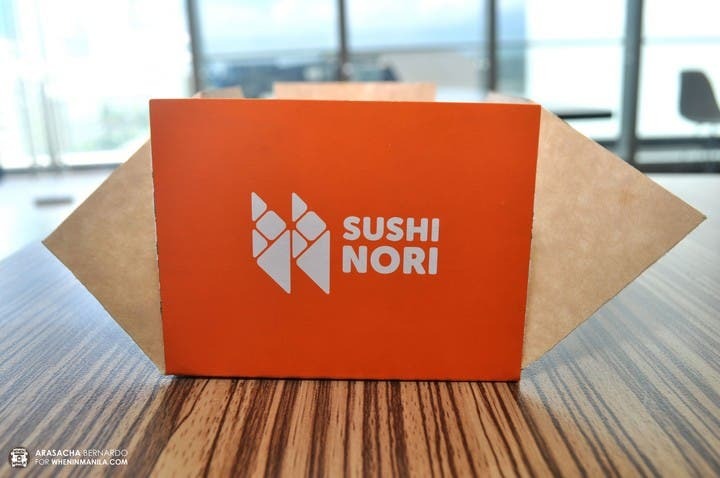 Sushi Nori would be that effervescent lady that you’d like to immortalize in the Japanese scene in Manila. Many try to invade our shores but a few successfully engrave a mark on Pinoy strands. But this charming eat-out, Sushi Nori, continues to swoon foodies for all the good reasons.